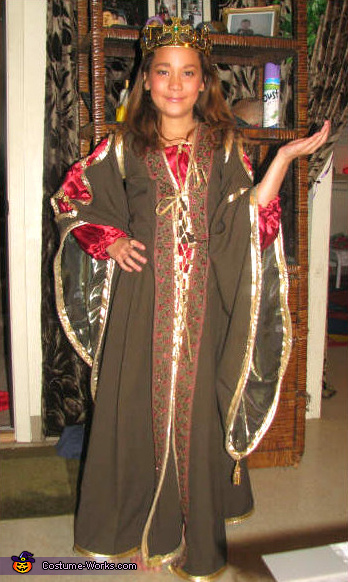 This regal costume is worn by Khaleigh. She looks like royalty to ME! Beautiful robes and crown. for the entries, by her, in this contest. This homemade costume for girls entered our 2008 Halloween Costume Contest.